Banquet tables await guests at the Starting Gate at GreatHorse. By any measure, the holiday-party business is stronger than it has been since a decade ago, before the recession. Buoyed by a generally strong economy, companies are willing to invest in late-in-the-year gatherings for their employees and, sometimes, their families. But it’s still a fiercely competitive environment for banquet facilities, who have become increasingly creative and flexible in their seasonal event offerings, aiming to provide a memorable experience and drive crucial repeat business year after year. 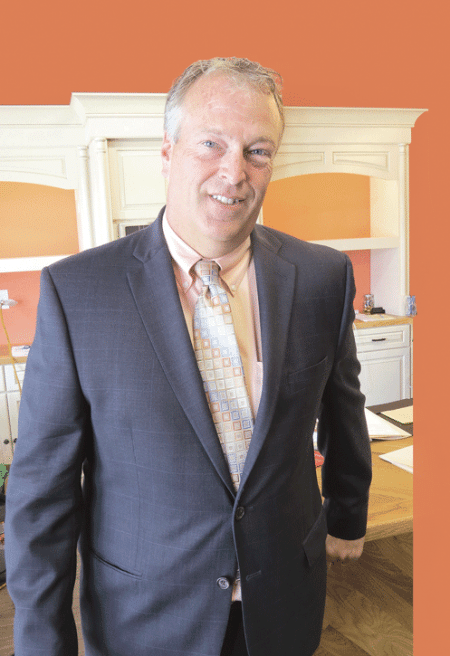 As he spoke with BusinessWest, Peter Rosskothen was getting ready to meet a client planning a holiday party. The message he intended to share? Don’t do what you did last year — even if you loved it. “My main focus for that meeting is to motivate them and excite them about relying on our brains and expertise to create something a little different from last year,” said Rosskothen, who owns the Log Cabin and the Delaney House in Holyoke. “It’s very easy for somebody who’s working very hard to say, ‘we had a great party last year; let’s do the same thing again.’ But I think that’s a negative. Indeed, many area facilities take pride in being flexible enough to handle different styles of events. With a stable economy and corporate profits on the rise, a national survey released at the end of 2016 showed that not only are more companies planning holiday parties this year, but many also expect to increase spending on those events. In its annual survey on holiday-party plans (the 2017 survey has not yet been released), global outplacement consultancy Challenger, Gray & Christmas Inc. found that 80% of companies planned to host holiday parties last year, while 21% were increasing the budget. More than 66% of survey respondents said their companies were hiring caterers or event planners, up from 62% in 2015. In addition, 43% percent of companies were inviting employees’ spouses or family to attend, up from 31% in 2015. Peter Rosskothen says he encourages repeat clients to change up their holiday parties from year to year. Rosskothen said his business certainly reflected the national uptick last year, and 2017 is shaping up to be as least as strong. For many, if not most, banquet facilities, the holiday season — which typically extends through January, thanks to a growing number of businesses that move their company gatherings to after Christmas and New Year’s Day — is key factor in the year-end bottom line. “We do anything — baby showers, birthday parties, bridal showers, post-funeral receptions, corporate meetings, and holiday parties,” said Cathy Stephens, director of catering sales at the Starting Gate at GreatHorse in Hampden, noting that the facility is trying to ramp up its holiday-party schedule after a successful first season last year. The Starting Gate will also host an elaborate buffet luncheon for multiple small groups on Dec. 12, reflecting a trend in the corporate party-planning world toward giving smaller companies a big-party experience for a budget price simply by combining groups into one event. That will follow fall holiday events including a Halloween dance on Oct. 28 and a comedy night the Saturday after Thanksgiving, both aimed, again, at both the public and area companies looking to treat their employees. The Log Cabin has hosted similar events in recent years, and this year is no exception. Bistro 63 emphasizes its unique custom-cocktail program, and, indeed many party guests look to unwind with a drink or two at holiday events. The Challenger survey revealed that 62% of holiday parties would include alcohol, up from the 54% in 2015. And that poses some risks. TriNet, a national provider of human-resources services, surveyed employees at small and mid-size businesses late last year about how they felt about their company-sponsored holiday parties. A majority (65%) of respondents said they planned to attend their office party, while 22% percent said they were not sure and 13% percent said they wouldn’t go. Meanwhile, 36% stated they are required or strongly encouraged to attend, while 48% considered it their choice. Asked how they feel about the tradition of holiday parties, 37% said they were somewhat excited, while 28% said they were very excited. Only 5% of respondents showed no enthusiasm at all. However, despite the general enthusiasm, a large majority indicated they would trade a party for other perks. For instance, 73% would prefer a cash bonus, while 51% would favor office closure during the week between Christmas and New Year’s Day. Given those options, only 20% would still prefer the holiday party. Locally, both Stephens and Rosskothen said employees who have a good time at their holiday parties look forward to returning the following year, and their employers are willing to keep paying for the event. “We’re getting repeat business from people who came last year,” Stephens said of spillover from the Starting Gate’s first holiday season in 2016. Others have experienced other events there, including weddings that incorporate the site’s sweeping vistas, and return for other events, like holiday parties, based on those good memories. The holiday-party business may not have returned quite to pre-recession levels — a trend that holds true nationally as well — but it’s close, he added.